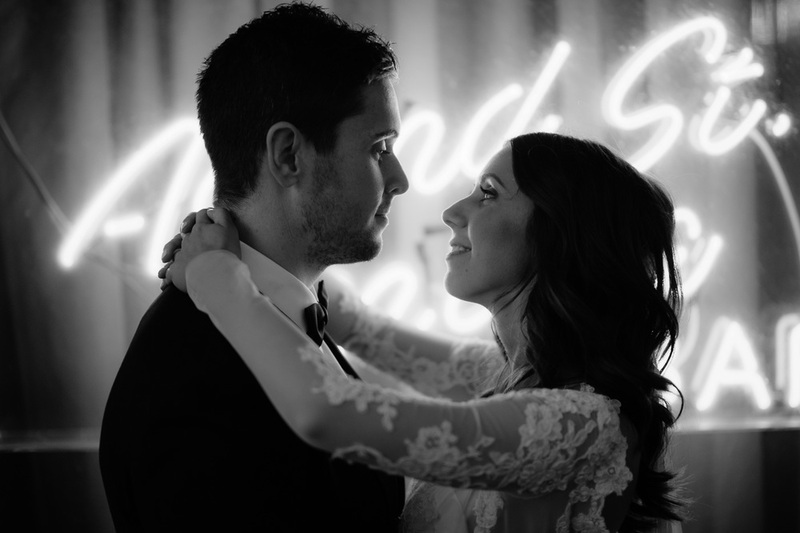 Sam and Nicole’s Melbourne winter wedding was classically styled in black and white, which set the tone for their elegant and refined celebration. 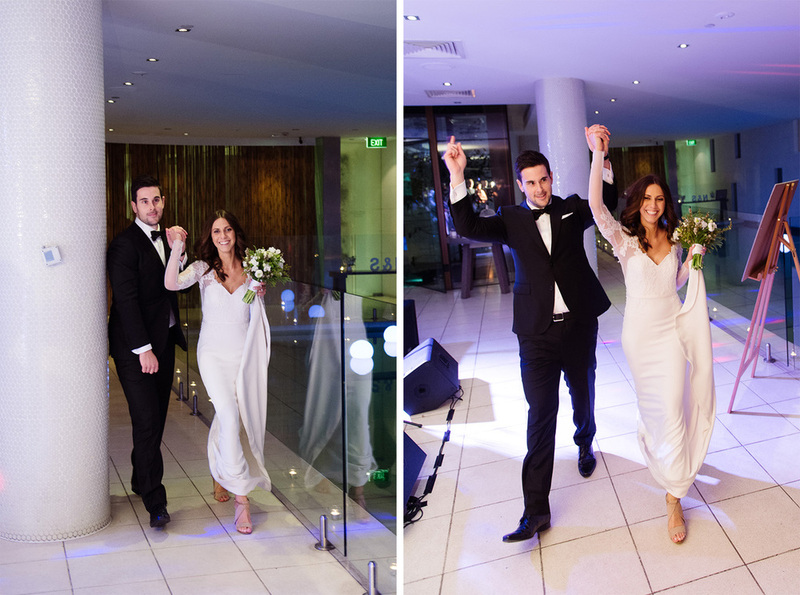 Nicole looked simply stunning in her gown from One Day Bridal; the low cut back and deep V-shaped neckline was complemented by delicate lace detailing, flowing down into a graceful train. 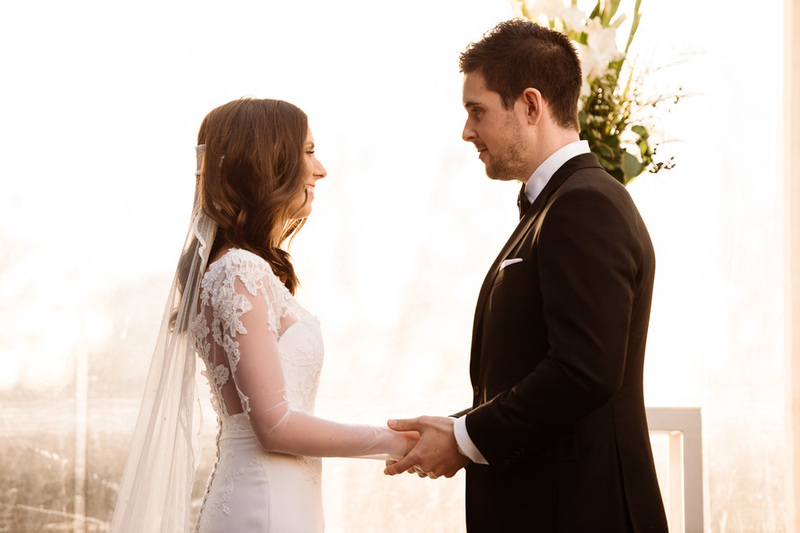 The couple’s sophisticated style was also reflected in the eclectic bunches of white flowers dotted throughout The Deck at The Prince, the sassy black bridesmaids dresses and the rustic two-tier cake. 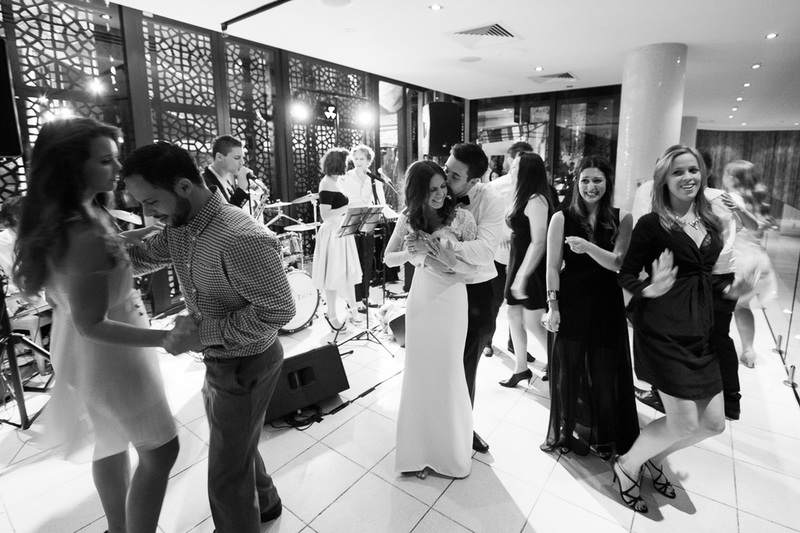 However, their sense of fun also shone through, as they kept their guests happy with an epic candy buffet bar, which could be grazed on all night! They also took a light-hearted and primarily candid approach to the photography, which ensured all the laughs and joking around of the day could be captured. 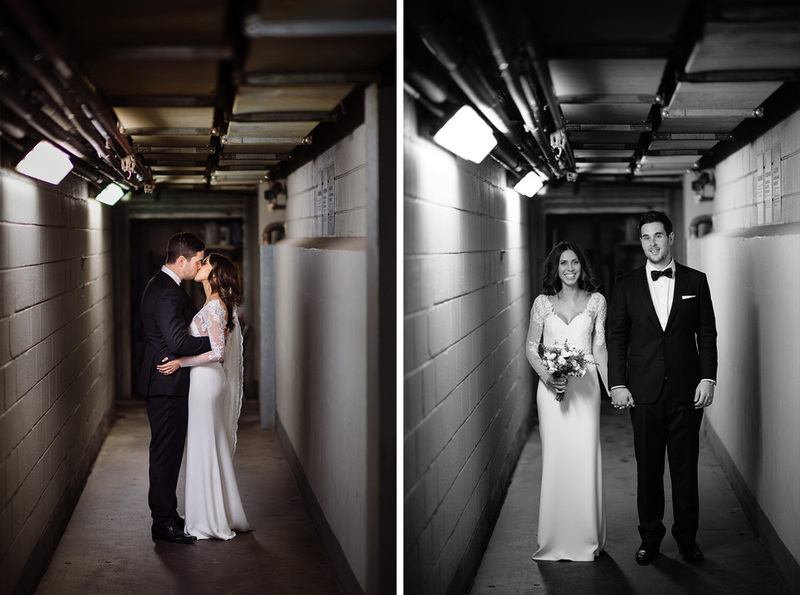 Nevertheless, they also took a few moments for some quirky posed shots in the service corridors under The Prince, and outdoors in the magical, soft winter light. 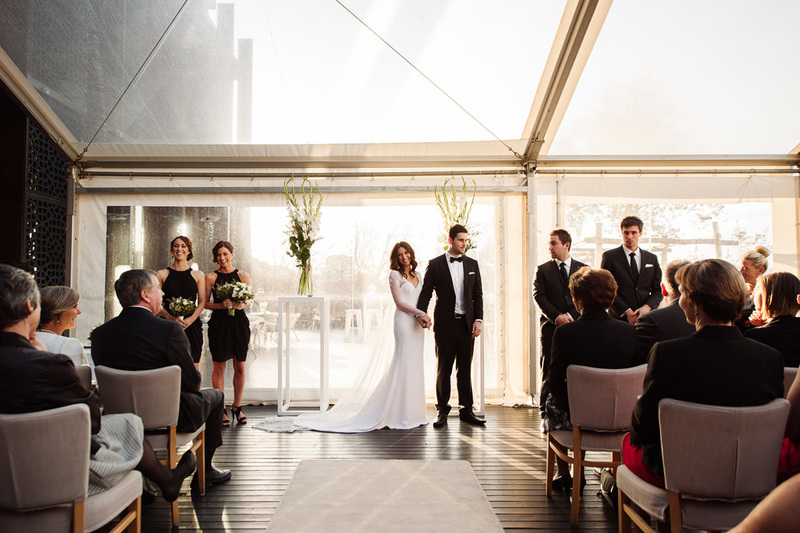 Shannon from Cloud 9 Celebrations ensured the ceremony was personable and warm. 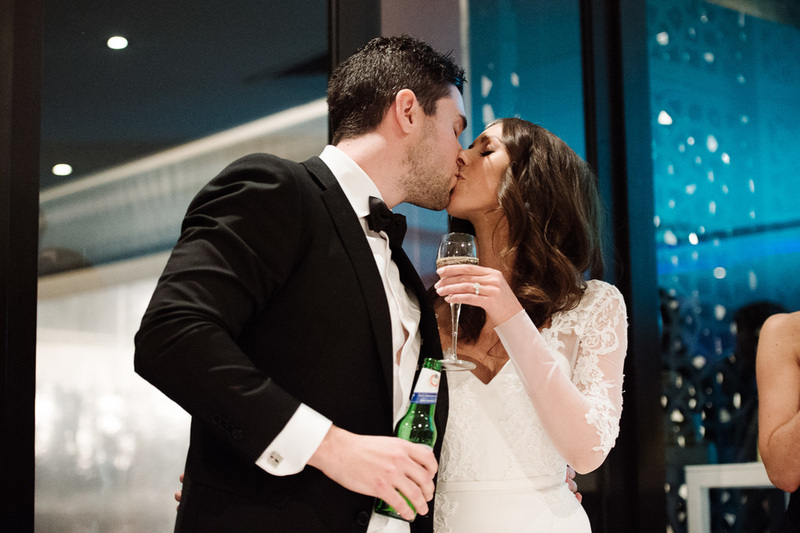 Sam and Nicole certainly made the most of the Melbourne winter, with their stunning St Kilda celebration.